Mowgli the Wolf-Boy! Reared by wolves deep in the jungle, Mowgli sometimes hunts with the animals and sometimes is hunted by them! 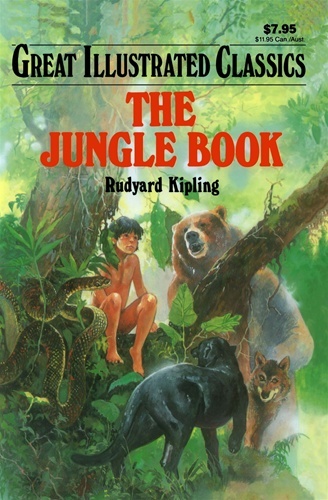 He must face unfriendly ones on his own - like the chattering army of monkeys who kidnap him to their tree-top home; the ever-hungry tiger, Shere Khan; even his own kind, Man - and learn to live by the law of the jungle. These wonderful stories, each one more exciting than the last, can be read time and again for thrills, adventure, and endless insight into people and animals and their relationship.